Patron members are investing in infrastructure and services to improve the entrepreneurial practice of our city's talent. All benefits of the Enthusiast Membership, but for 2! All benefits of the Advocate Membership, but for 2! *Patron Members (and a guest) receive free admission to the Winter Holiday Art Market exclusive Preview Party! Our members are important to us, but no gift in support of our mission is too small. If not membership, please consider making a donation of your own choosing today. Membership dues represent a gift to the entire mission and funds are applied where they do the most good. 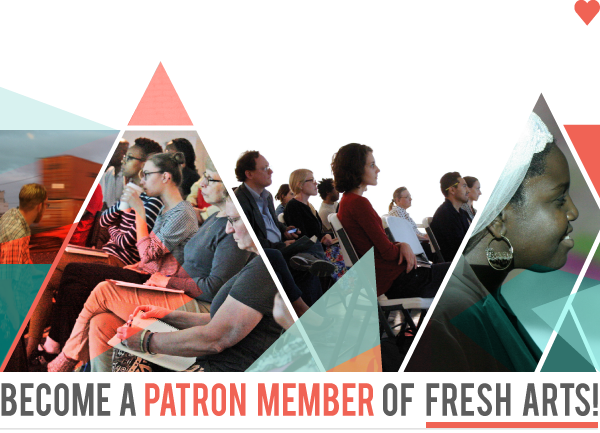 Because you are helping Fresh Arts empower Houston's cultural community, your gift is tax deductible.